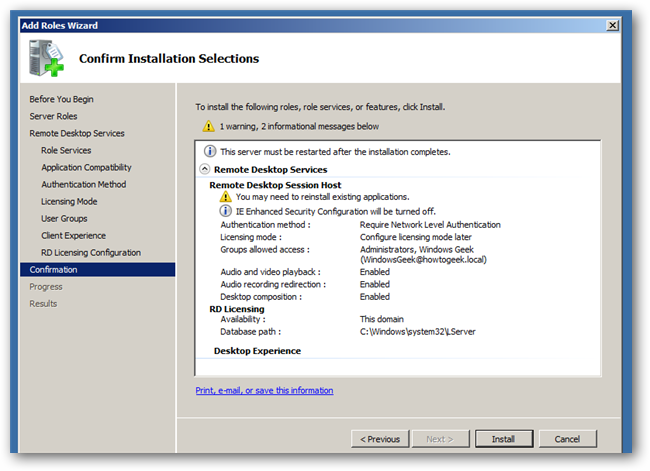 In today’s IT learning article, we are going to take a look at installing Terminal Services, otherwise known as Remote Desktop Services, on a Server 2008 R2 machine. Note: this is part of our ongoing series teaching IT administration basics, and might not apply to everybody. 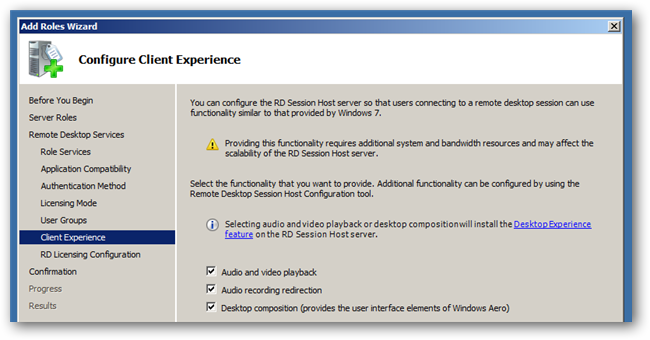 Starting with Server 2008 R2, Terminal Services has been renamed to Remote Desktop Services. 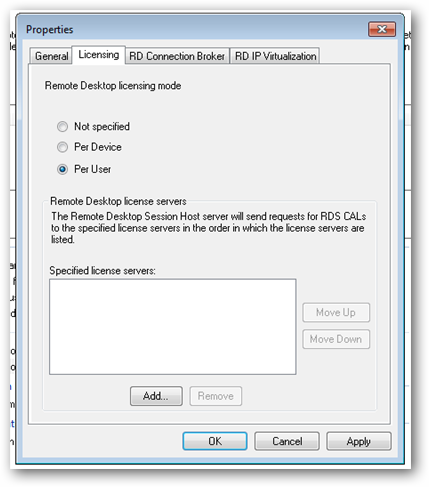 RDS, as it is abbreviated, allows you to have a powerful server that all your users connect to using the Remote Desktop Protocol (RDP). You can think of it as a computer that lots of people remote desktop into at the same time, however they all have there own user session and desktop, and are completely unaware of each other. All you applications are installed once and available for any user to run. 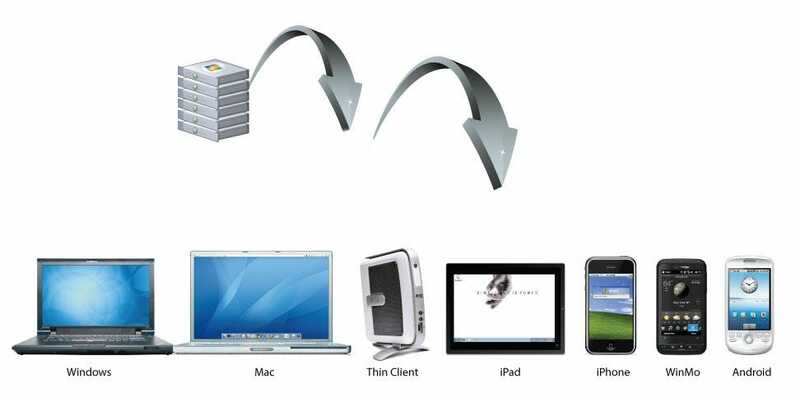 The user can remote into the server using the Remote Desktop Connection Manager included in Windows or more often than not can connect from thin clients, in fact they can connect from anything that implements the Remote Desktop Protocol. If you are looking to save money and already have old machines, you should look at the recently launched OS from Microsoft called Windows Thin PC, which essentially turns your machines into thin clients. Client Access Licenses: Connecting to a RDS Server also requires licenses in the form of Per User or Per Device Client Access Licenses, this is what allows more than a single user to remote into the server. Although you will still need to purchase licenses, buying CALs is way cheaper than buying everyone a new Windows 7 license. Note: The applications you wish to run on the Remote Desktop Server should not yet be installed, they should only be installed once you have installed the Remote Desktop Session Host Role. On the Introduction To Remote Desktop Services page click next, this will bring you to the Role Services page, select the Remote Desktop Session Host as well as the Remote Desktop Licensing Service and then click next. The licenses you purchased can be used either as Per User or Per Device. It is purely up to you, however if you already have a RDS Licensing Server you will have to choose the same option you chose when importing the licenses originally. 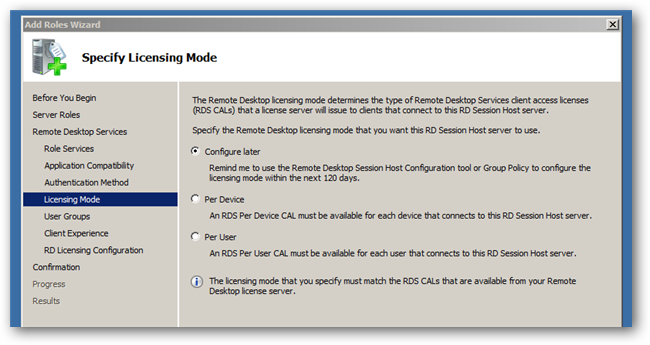 RDS Per Device CAL – If your users share a common workstation this is the mode for you, the license is given to the device rather than the users, this way many people can connect from a single device. However, if they try to connect from a different device they will not be able to since their user account doesn’t have a license. Finally you can click on install. Once installation is complete, reboot your server, when you log in the configuration will complete. That’s all there is to installing a Remote Desktop Server. 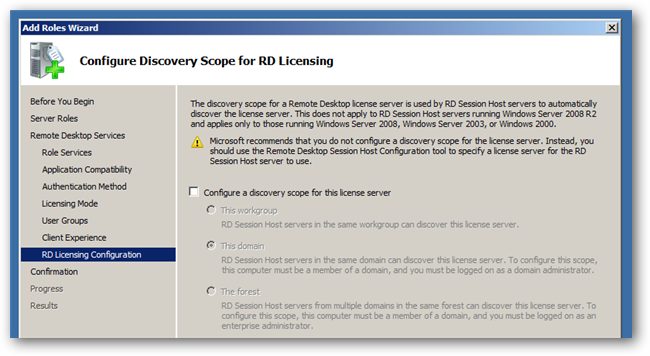 If you need to install your licenses you can do it through the RD Licensing Manager. You will need to activate the Server first though. I wont go through this, as it is self-explanatory. 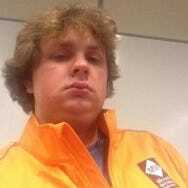 When the console opens double-click on the Remote Desktop license servers link. 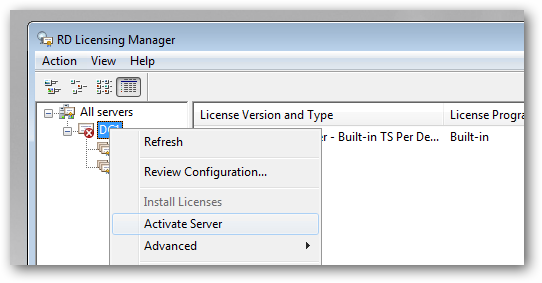 Now you can specify your licensing mode and then hit the add button to specify a licensing server. As I said before, you can skip this activation section and use Remote Desktop Services for 120 Days before you need to purchase a CAL. Once you have done this you will need to install your applications. However you cant just install them in any fashion you want, there is actually a special method for installing applications on a Remote Desktop Server.